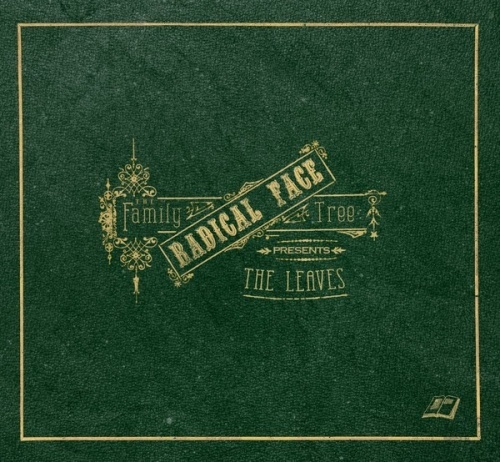 Released in 2016, The Leaves concludes the saga of the Northcotes, the fictional family that has been the subject of singer/songwriter Ben Cooper's ambitious concept album cycle, The Family Tree. Under the name Radical Face, Cooper debuted his indie folk epic in 2011 with the first of three intended volumes, The Family Tree: The Roots. Against a quietly cinematic backdrop of fingerpicked acoustic guitar, piano, and percussion, Cooper introduced William Northcote, his sister Victoria, and their myriad of complex relatives, many of whom seem to possess supernatural secrets. In addition to the second volume, 2013's The Branches, Cooper consistently delivered a spate of related satellite EPs called The Bastards, which essentially contained spillover material from each album. One of nine siblings raised in Jacksonville, Florida, Cooper has stated that his own family serves as his greatest inspiration, and while the mythical Northcotes' chronicle occurs in a distant 19th century era, parts of his own story are woven into the yarn. In spite of the broad concept, each album can still be enjoyed on its own and The Leaves is no different. Cooper's musical language is in keeping with the indie folk movement of the 2000s, weaving earnest storytelling with progressive orchestrations that occasionally recall the thematic sweep of Sufjan Stevens. His dreamy production and hushed tenor are gentle on the ears, but for all of the drama and scope of this project, the songs often tend to run together in a stylistic sameness. Aside from a few dynamic peaks like "The Road to Nowhere" and the closing "Bad Blood," The Leaves flows along like a babbling brook of clever transitions and self-contained acoustic balladry that doesn't work that hard to invite listeners in. For those already enamored of The Family Tree, The Leaves is a pleasing and familiar conclusion, though getting invested in Cooper's art may take a bit of work.